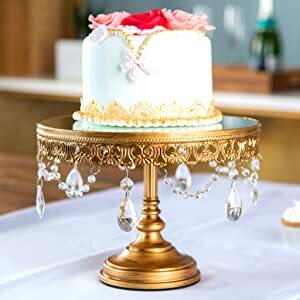 Our beautiful collection of gold cake stands is designed to showcase your desserts with elegance. 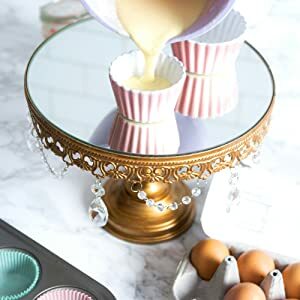 From tiered cake stands to crystal-draped mirror top cupcake holders, Amalfi Décor has the perfect addition for any occasion. Our dessert stands are hand-crafted from the highest-quality materials to provide a beautiful stage for wedding cakes or desserts for any event.